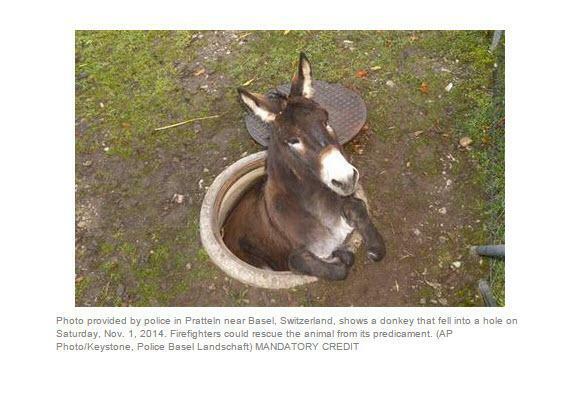 If that's not a "Welp, guess I gotta ride this whole 'being stuck in a manhole thing' out" look, I don't know what is. Just a donkey that realizes his current circumstances are not ideal. Dude looks exactly like I do when I sit at my desk at work. Pure indifference. How'd he get into the hole? No clue, but since this could very easily happen to me, I have to assume a smartphone was involved..
Yeah, there's a manhole 5 feet in front of you, but these tweets aren't going to send themselves. Rule #1 of 2014 is making sure you get these tweets off by any means necessary. If you fall in a hole, you fall in a hole. The certification in content writing includes professional training in communication and writing, teaching the skills of an effective writer, giving you a clear concept involved in writing.